While it's still really wintery outside you have it really cozy inside! 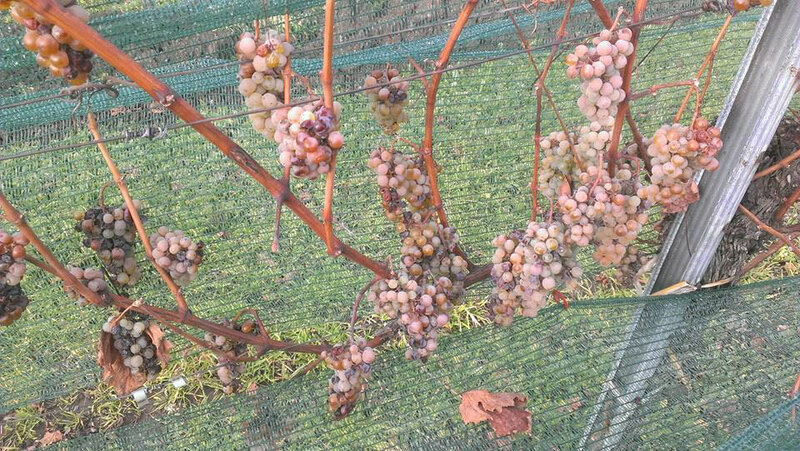 The harvest 2017 is finally over with today! 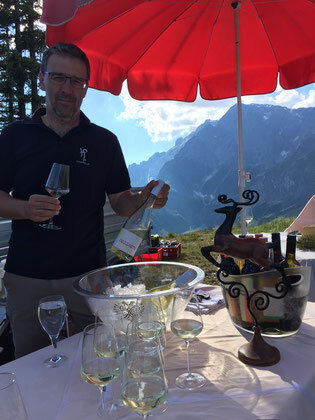 A sweet wine (Trockenbeerenauslese) from Pinot Blanc and Chardonnay makes the finishing touch. 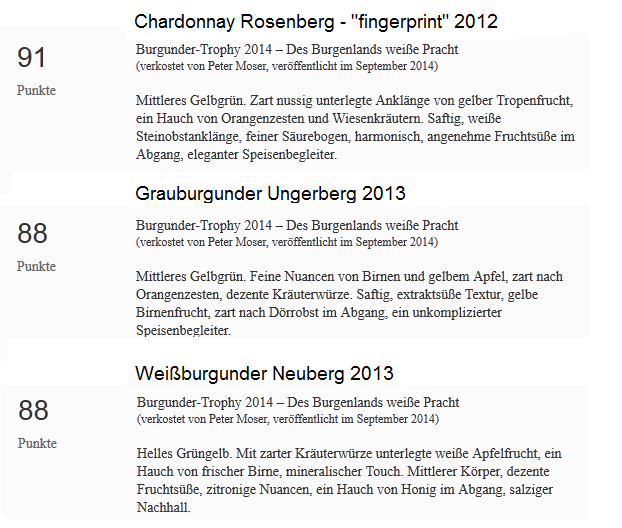 Four top ratings for four submitted wines in Falstaff Rotweinguide! 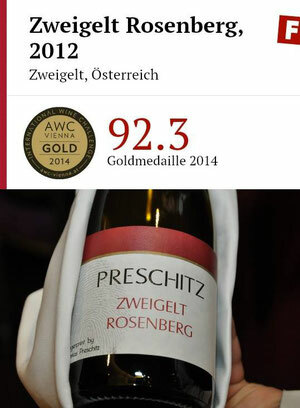 91 points with Zweigelt Rosenberg! 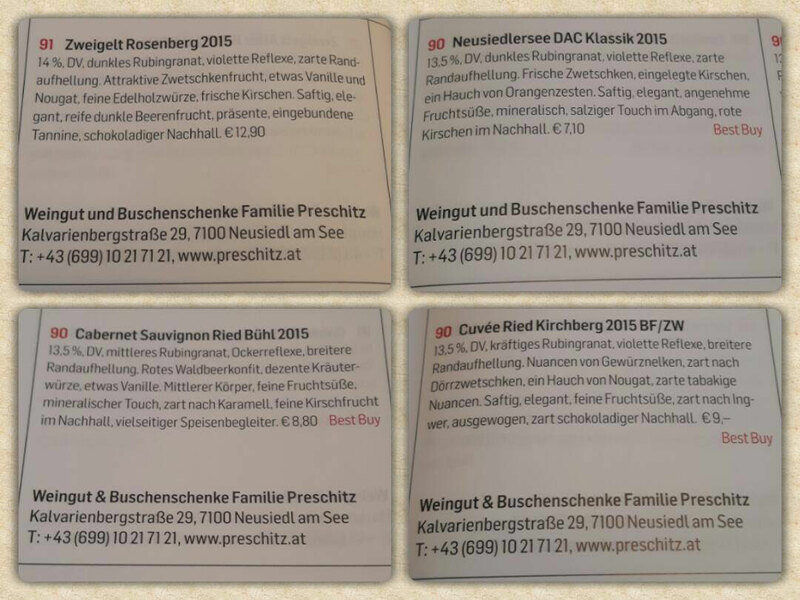 DAC Klassik, Cuvèe Kirchberg and Cabernet Sauvignon Bühl convinced with 90 points each and are listed as Best Buy! For the fourth time we organize our Christmas market with Christmas tree sales. 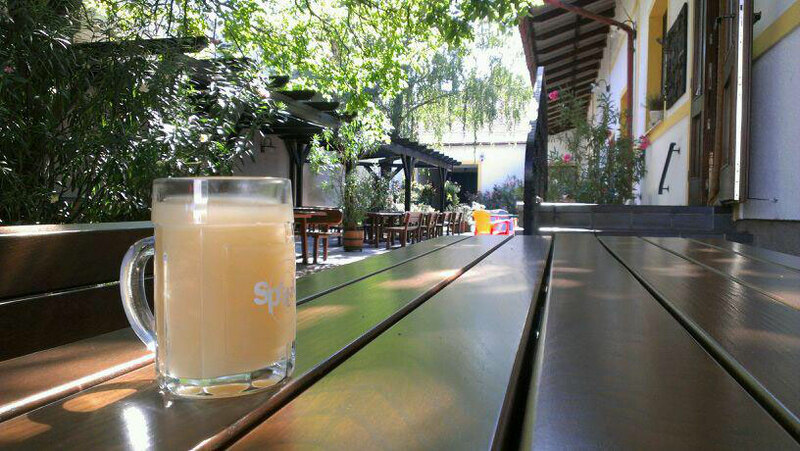 For the physical well-being is always taken care of as always. 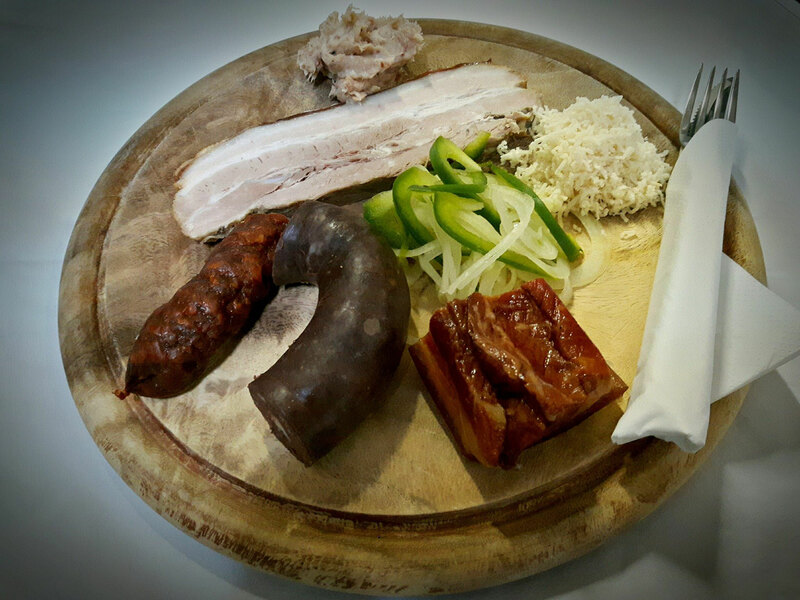 From mulled wine and punch to various hot dishes, everything is there. Part of the net proceeds will benefit the red cross. 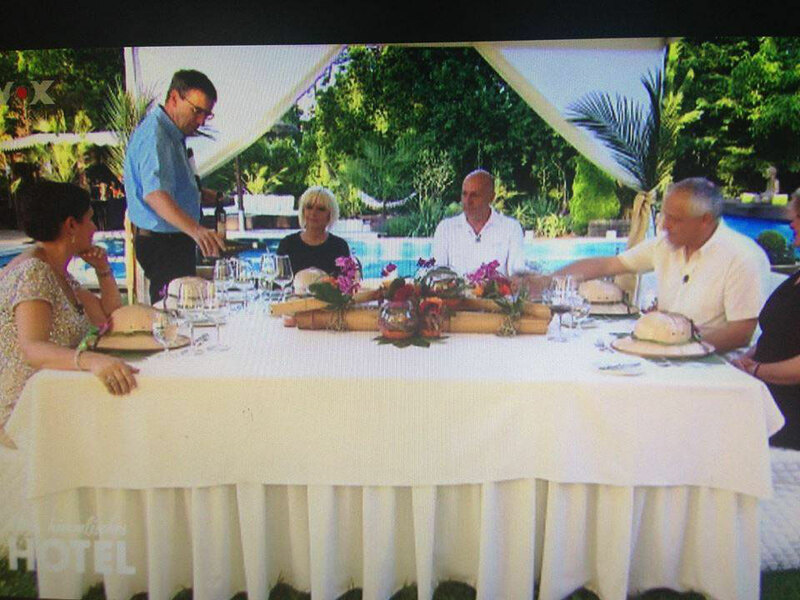 Fam. 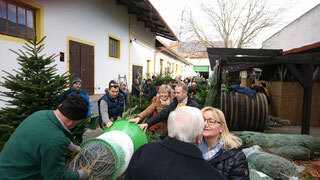 Bauer (Sieggraben / deinchristbaum.at) sells Burgenland Christmas trees as usual. 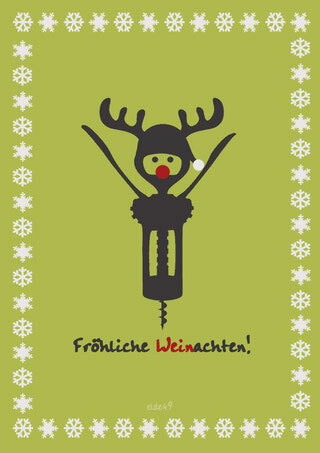 We look forward to a cozy holiday! 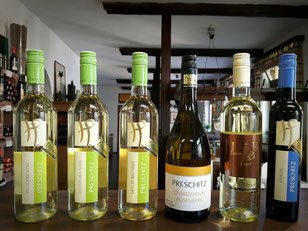 Available now in the online shop and directly at our Buschenschank! From 3rd to 4th of November our annual "Martiniloben" takes place in Neusiedl am See! Since last week our new Primus Pannonikus 2017 is available! 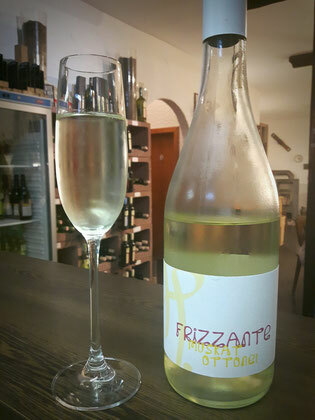 2017 tastes remarkably fresh and outstandingly fruity. 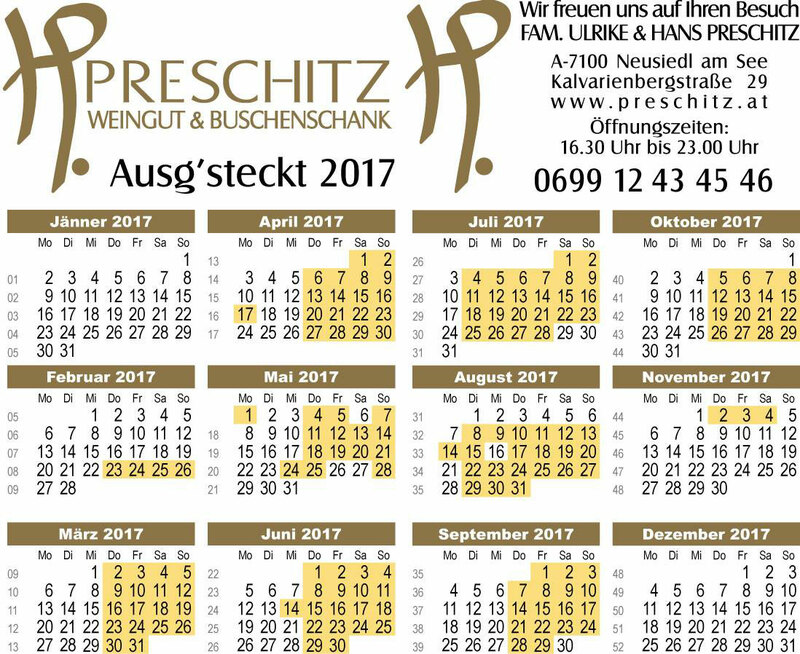 Get it directly from our Buschenschank or in our Onlineshop! On 11.05.2017 we were visiting our neighbors in Slovakia on the HORECA Pro! 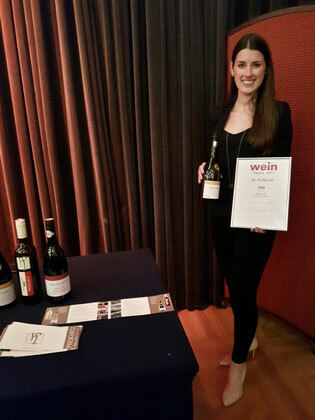 "Wein.pur best of Chardonnay" presentation at Casino Baden! Chardonnay Rosenberg 2014 with a top rating. 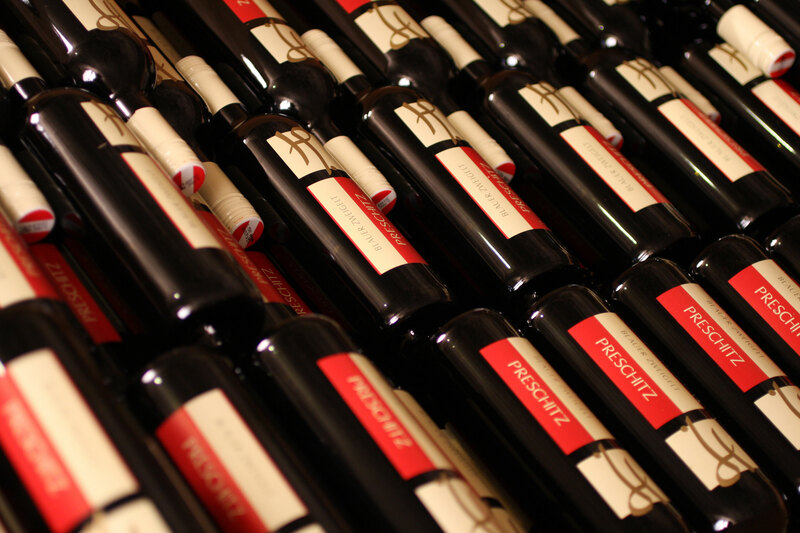 If you don't want to miss any news & offers, subscribe to our Newsletter! 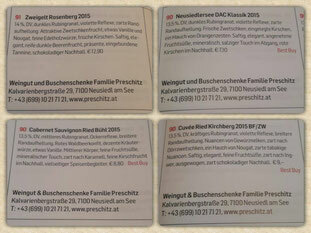 Great success for our wines! On February 23, it's time again! 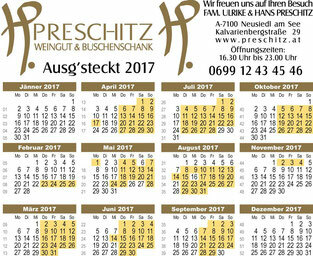 We start in the new Buschenschank-Season 2017! 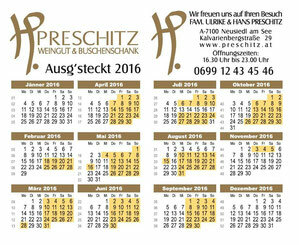 To the start of the new season, we are giving away 2x € 25,- coupons among our Facebook friends! 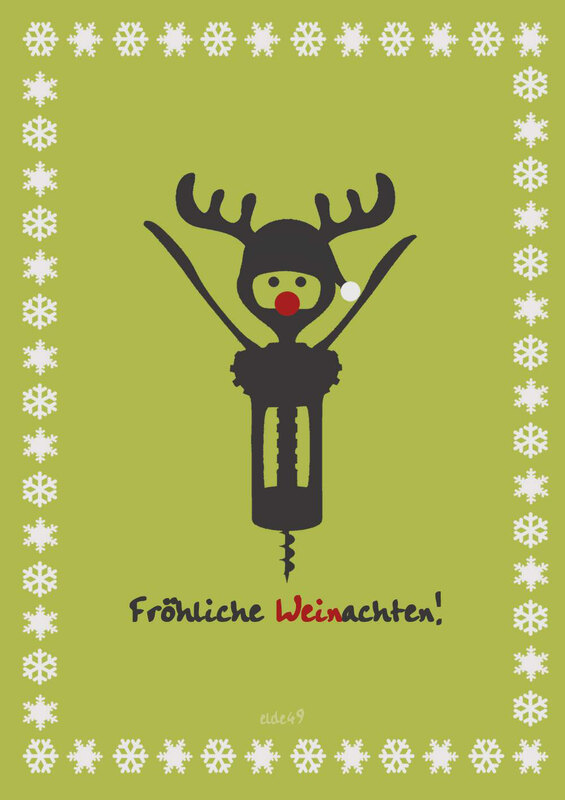 We wish you good luck and look forward to seeing you again this season! Click here for the contest! Our yesterday's ski day was completed by a grandiose menu, accompanied by our wines, at the Hotel Bergheimat. 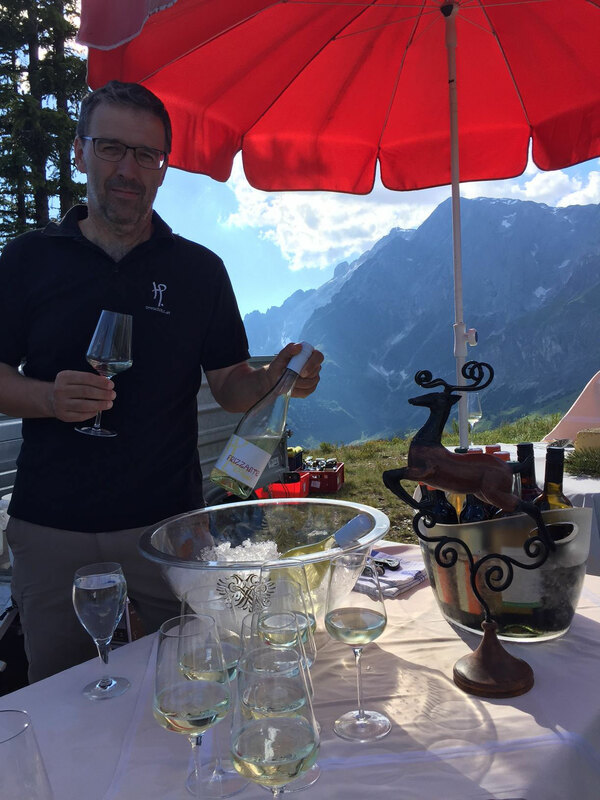 The "Genussregion Pongauer Wild" fits perfectly with wines from "Neusiedlersee"
Congress of the Austrian hotel association in Bad Ischl. 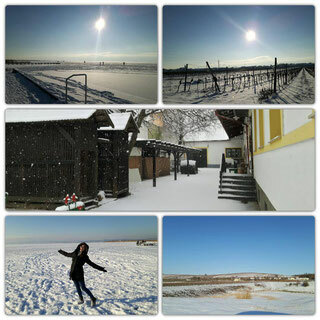 Winter starts in Neusiedl am See! 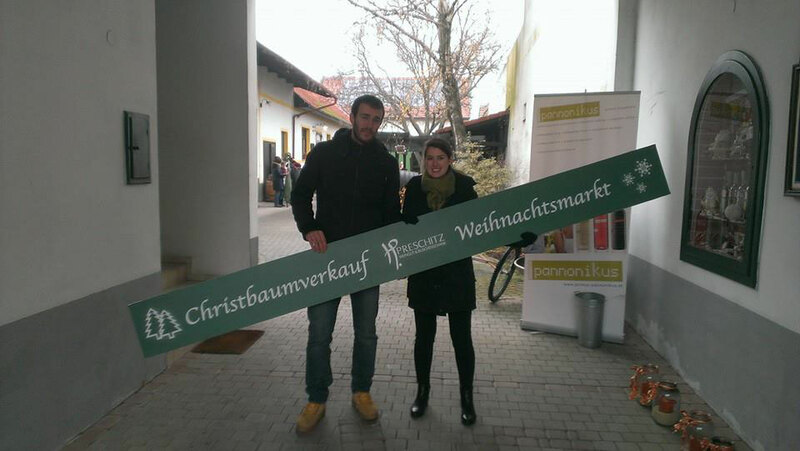 Thanks to all who were at the Christmas market! We hope all have found a beautiful tree and even more! 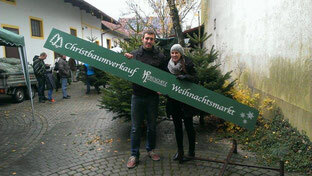 Menu for today's 3rd Christmas tree sale & Advent market! 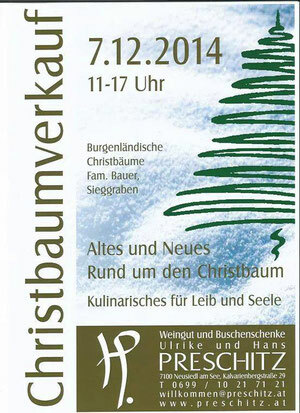 Burgenland Christmas trees, mulled wine, hot dishes and much more at the Advent marked! 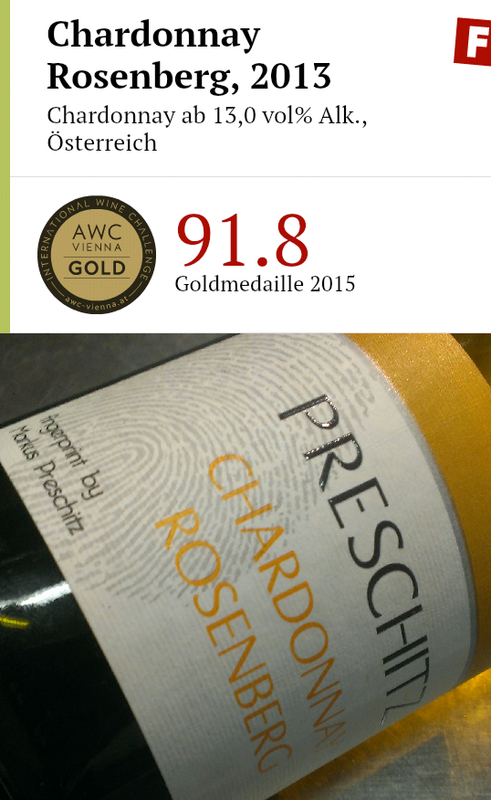 We open the bottle "GROSSE PRESERVE 2013" for tasting! Strictly limited to 150 Magnum bottles! 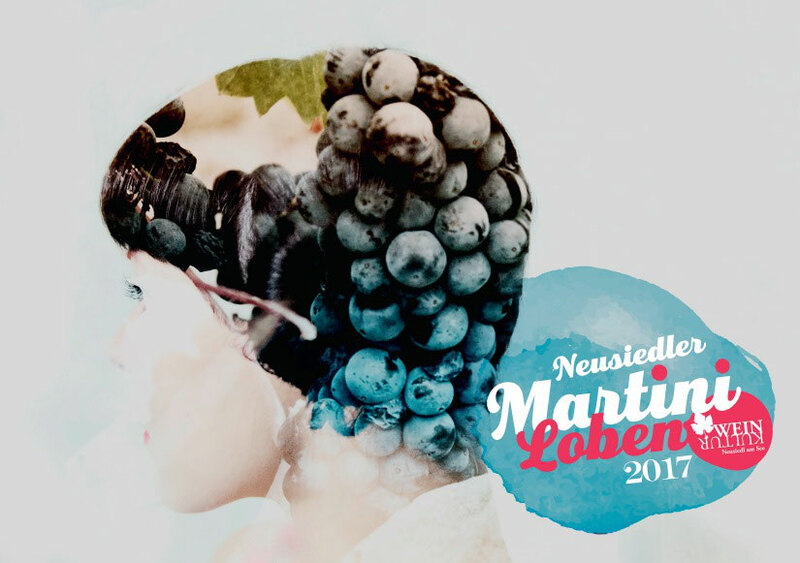 This weekend, the annual "Martiniloben" will take place in Neusiedl am See. 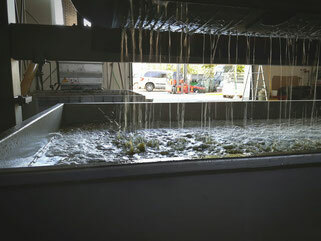 We also open our cellar door and look forward to taste our wines with you. 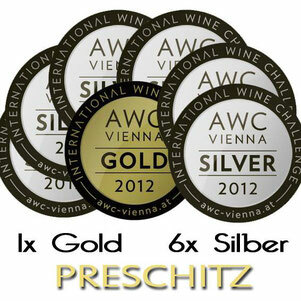 Great result for our wines at the AustrianWineChallenge! 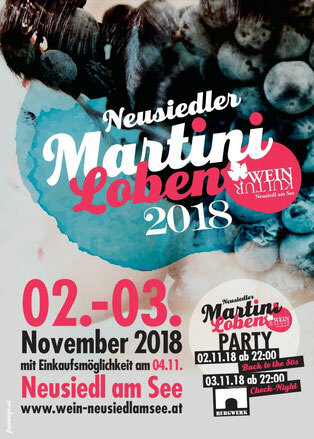 You can taste the award winning wines in our Buschenschank and on 4th and 5th November at the Neusiedler Martiniloben. 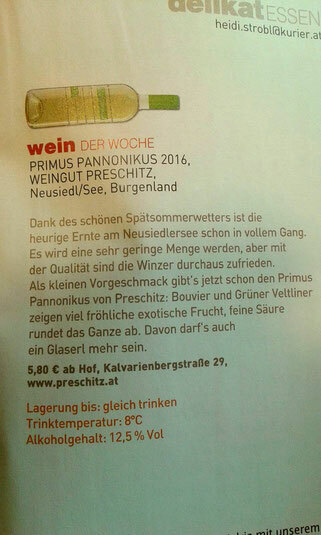 Our Primus Pannonikus is wine of the Week in the Kurier! 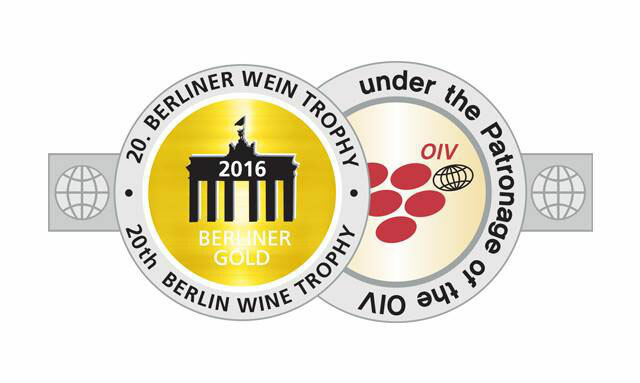 Great Result for our wines at the Berlin Wine Trophy! 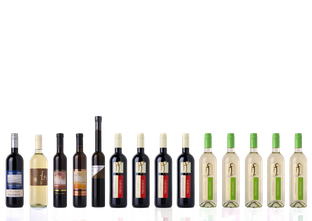 Primus Pannonikus 2016 is available now! We were again at the "Vinum Traun" on Saturday. 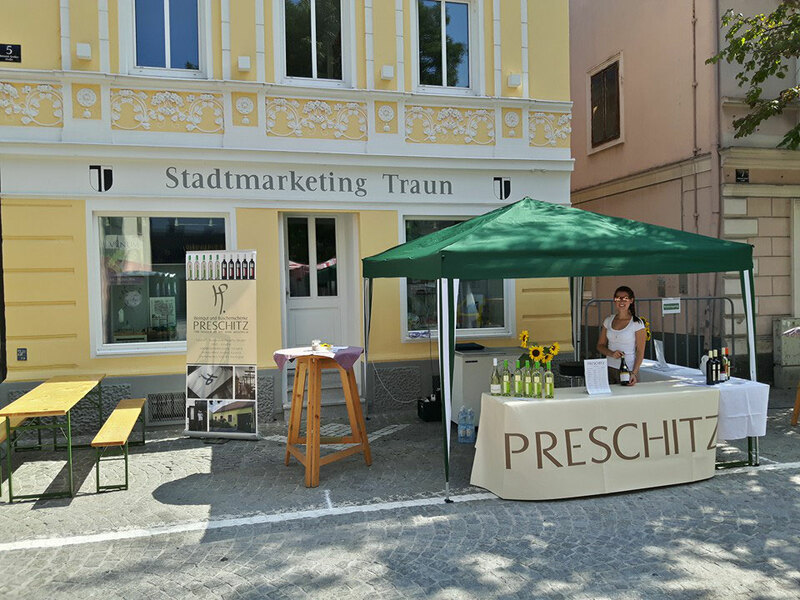 It was a great event with perfect weather! 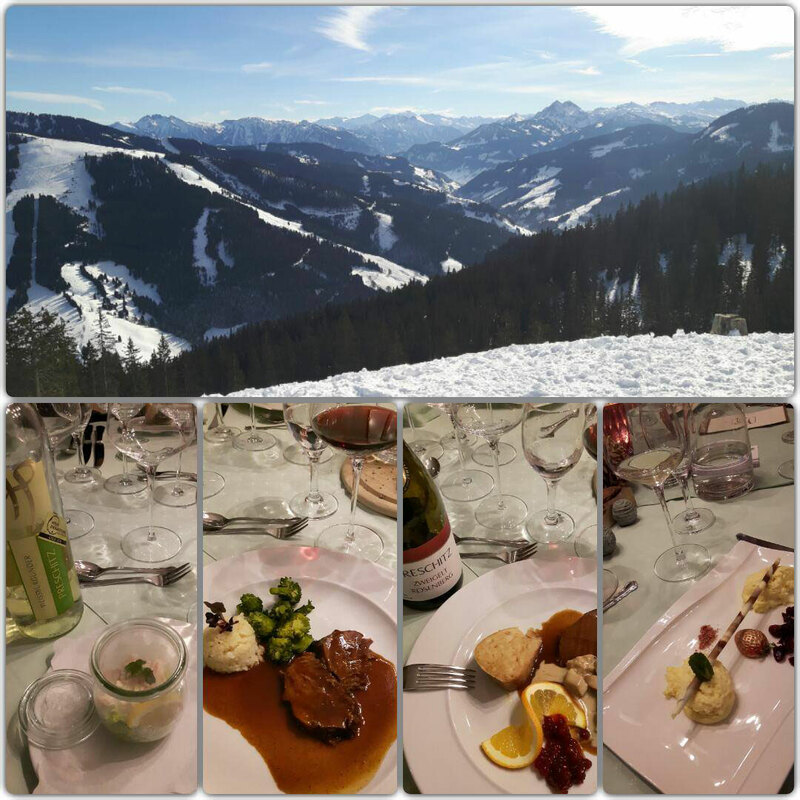 Hike followed by a tasting menu at the Hotel Bergheimat on Wednesday ! 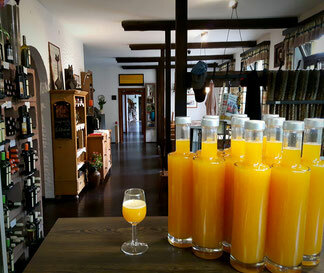 Fresh apricots liqueur is available again at our Buschenschank! 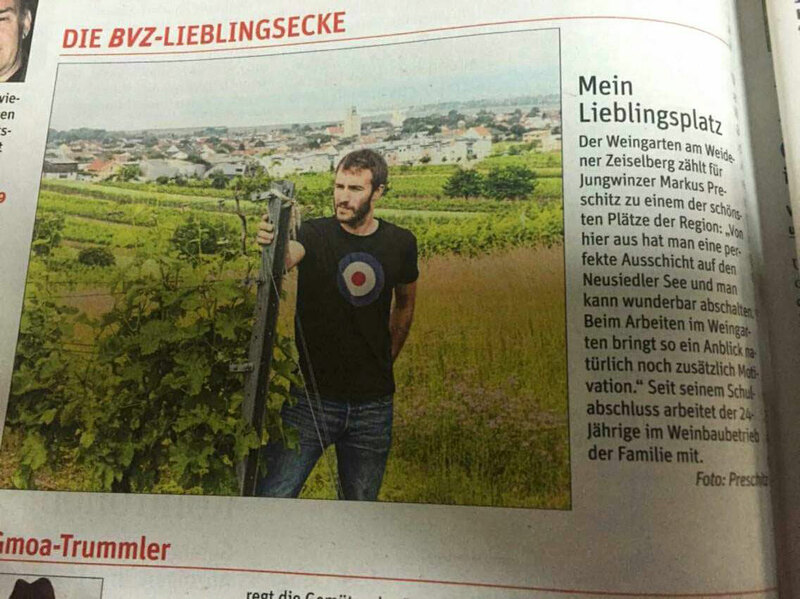 Markus presents his favorite place on the "Weidner Zeiselberg" in the latest BVZ! 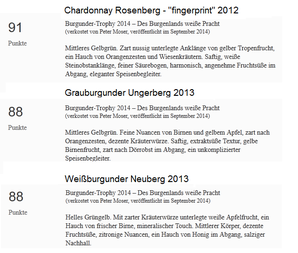 6x GOLD for our wines at the Burgenland National Award! 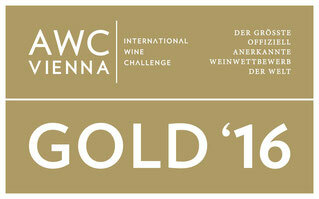 Our Ice Wine (Eiswein Welschriesling) also made it to the FINAL and thus among the top 4 in its category! 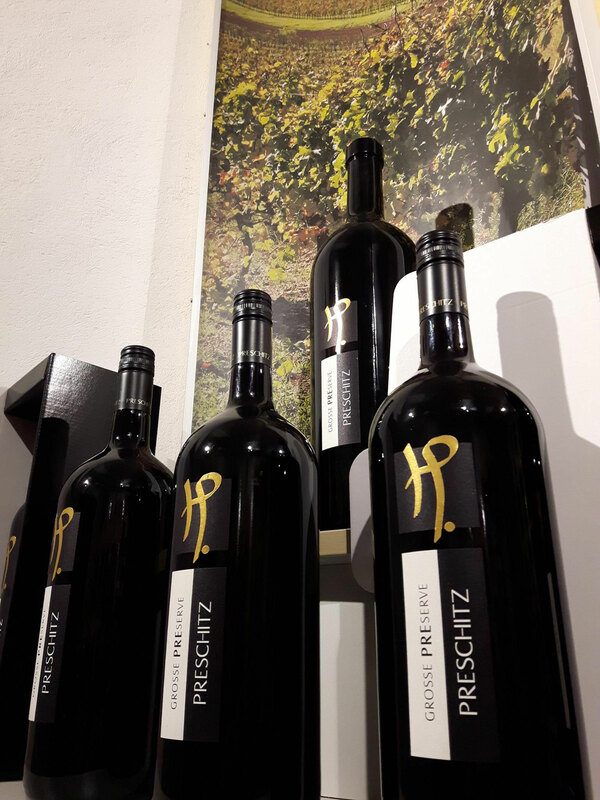 Unfortunately we did not win at the Burgenland national award yesterday, but to be among the best 4 wines of our category is a more than nice consolation prize! 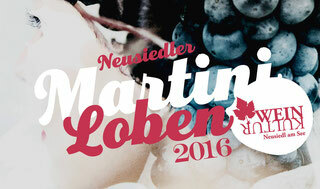 The remaining award results will be published tomorrow! 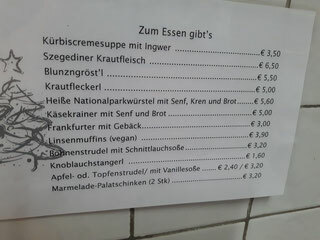 No we do not talk about the European Championship in France, but still have good news! 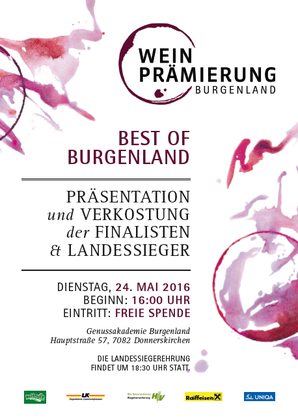 Our Welschriesling Icewine 2015 has reached the finals of the Burgenland national award! 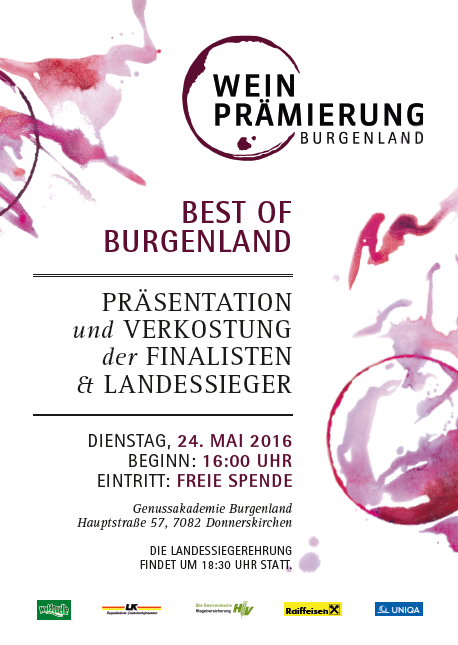 The presentation of the winners will be held next Tuesday at the "Genussakademie" in Donnerskirchen. 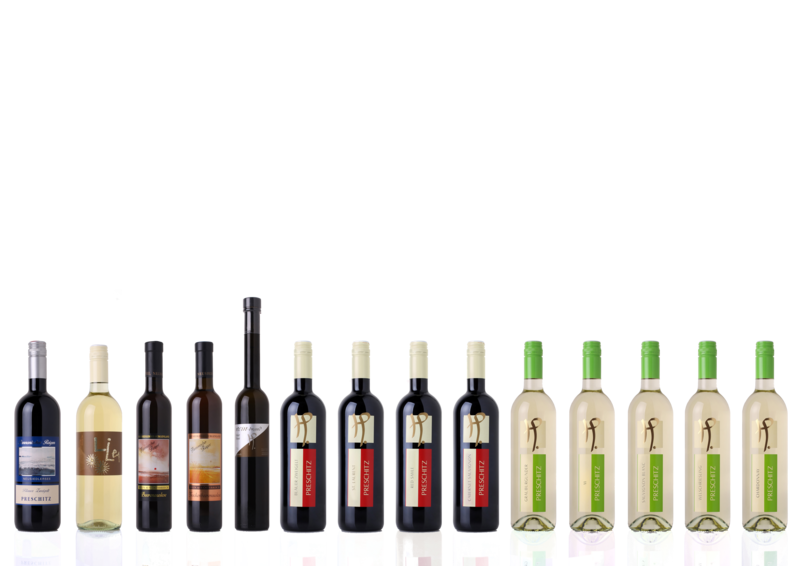 We would be pleased to taste our Icewine with you. The remaining award results will be announced soon! On the 22. and 23.4. you will find us in Weiden in der Oberpfalz in the City Center and on the 29 and 30.4. in Saalfelden on the first wine fair. 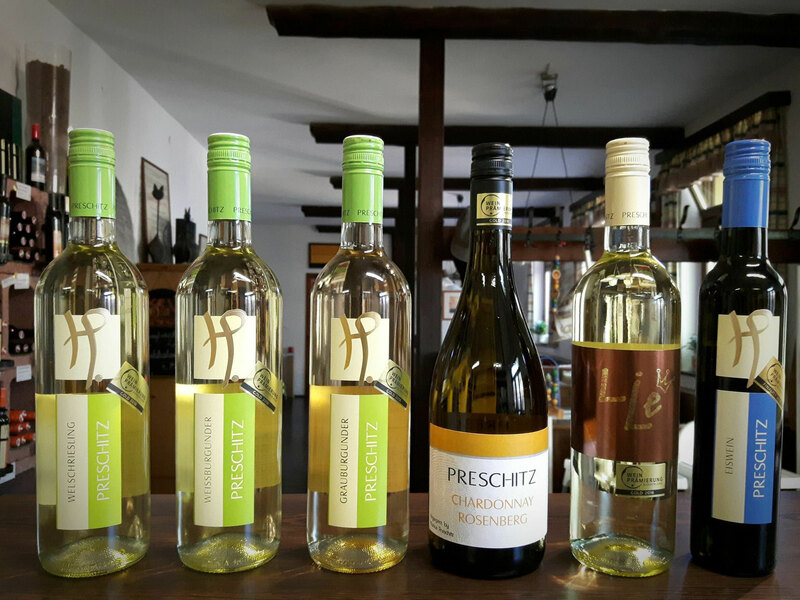 We are pleased to taste our wines with you! 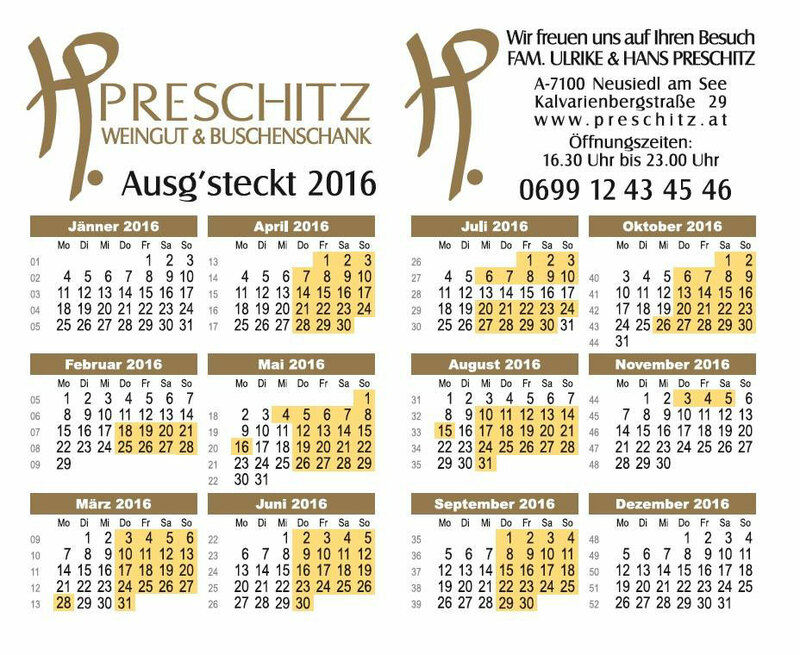 By the 24.04. you get a discount of 10% with the coupon code "homepage2016" in our new webshop. 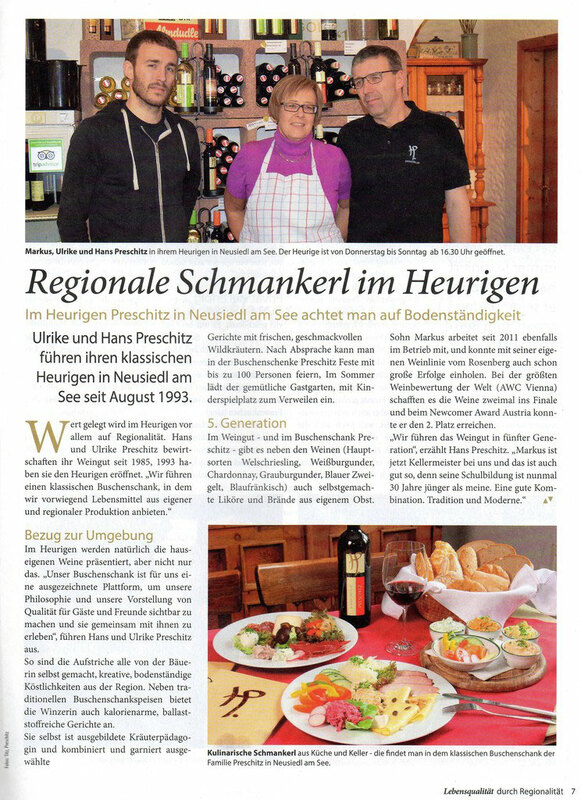 Short article about our business in the "Bezirksblätter Neusiedl am See" leaflet "Burgenlands schönste Seiten"! 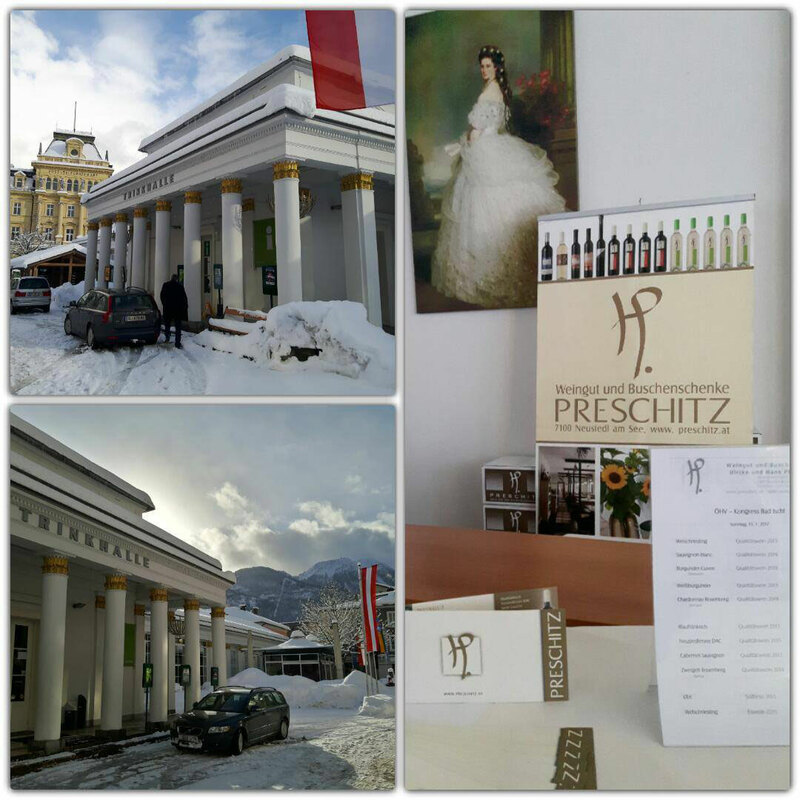 From this weekend we are smoke free throughout the inside of the Buschenschank! 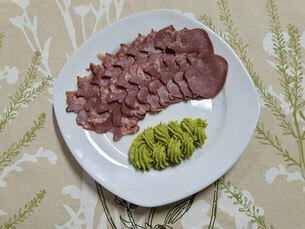 Smoked pork tongue with peas and horseradish puree. 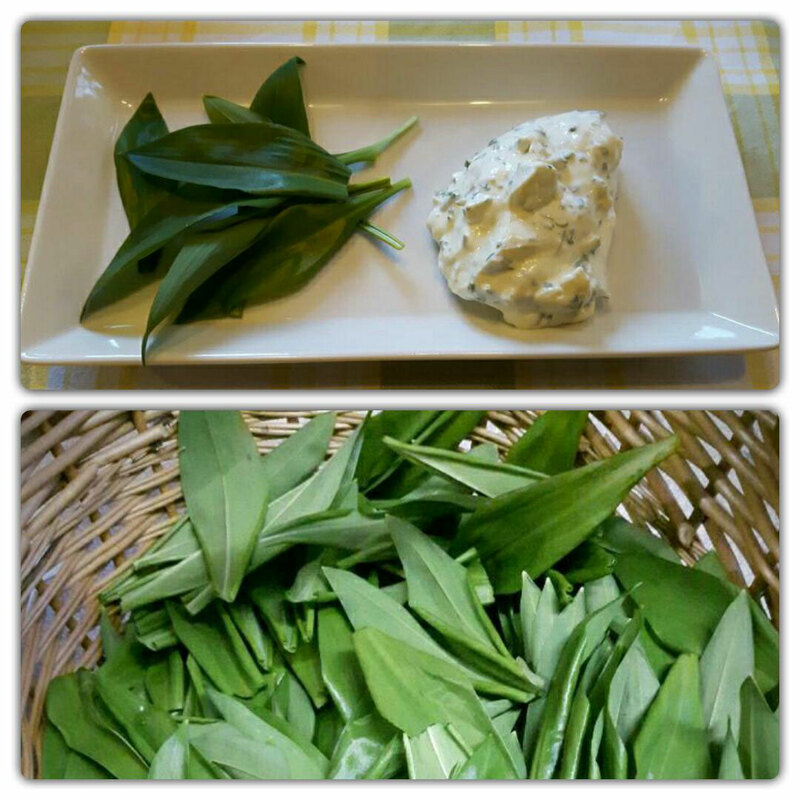 From now, we offer fresh wild garlic spread. 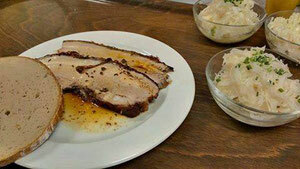 Starting today, we offer every Thursday fresh warm "Kümmelbraten". 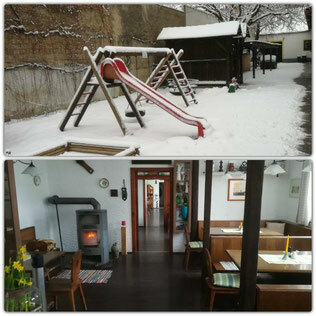 As of 18.02. our Buschenschank is open again! Today, the harvest 2015 was finished! At -6.5 ℃ Welschriesling ice wine was harvested. 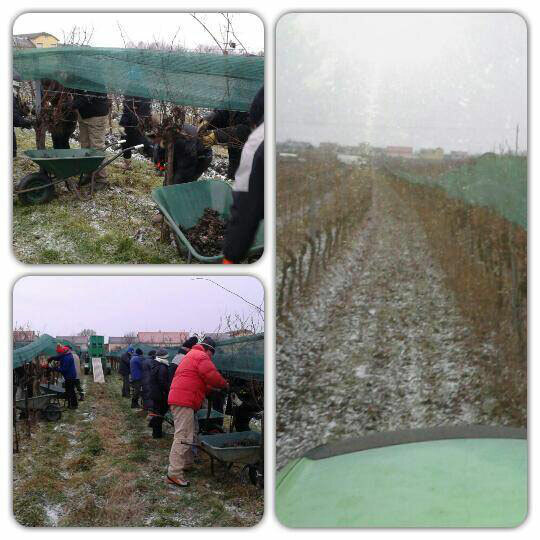 Thanks to all helping hands! The Christmas miracle is unfortunately failed for our icewine grapes, thus we must continue wait. 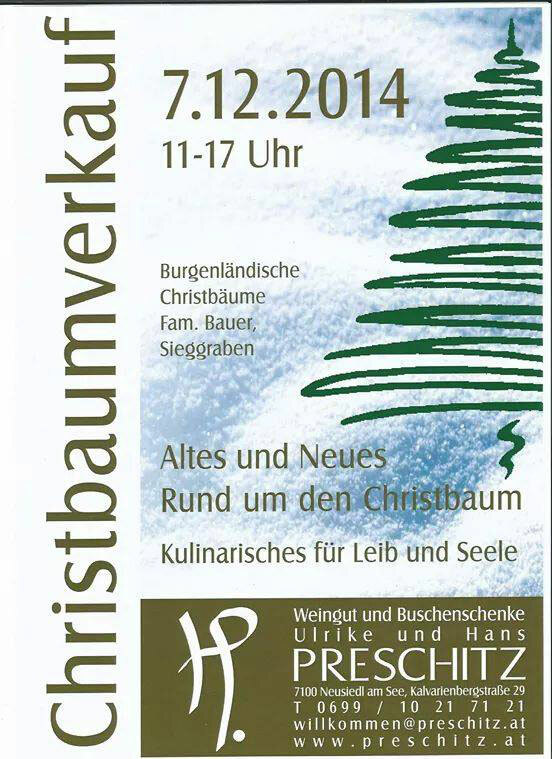 See you in February in the Buschenschank! 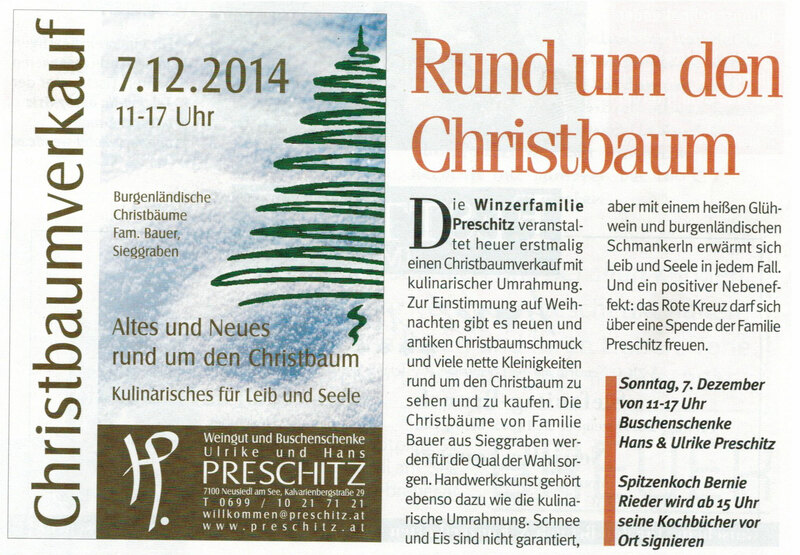 The Go for our 2nd Christmas market with Christmas Tree sale at the winery Preschitz! 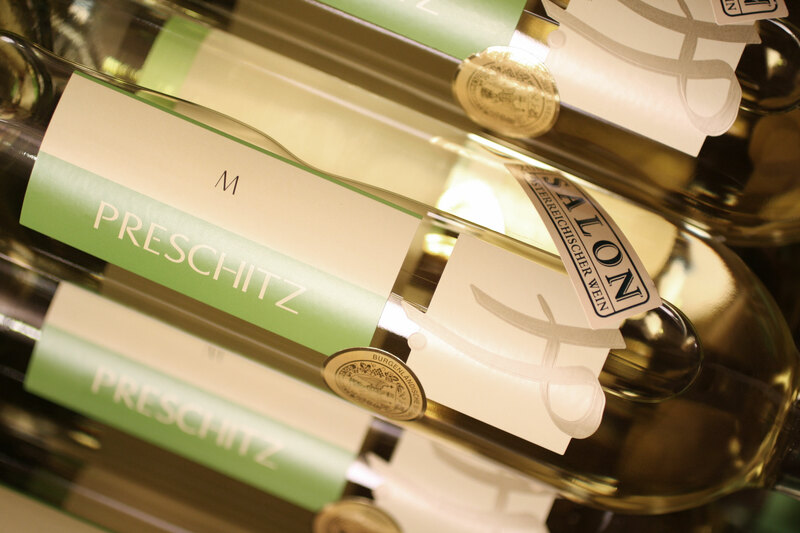 Muskat Ottonel 2015 is available now! 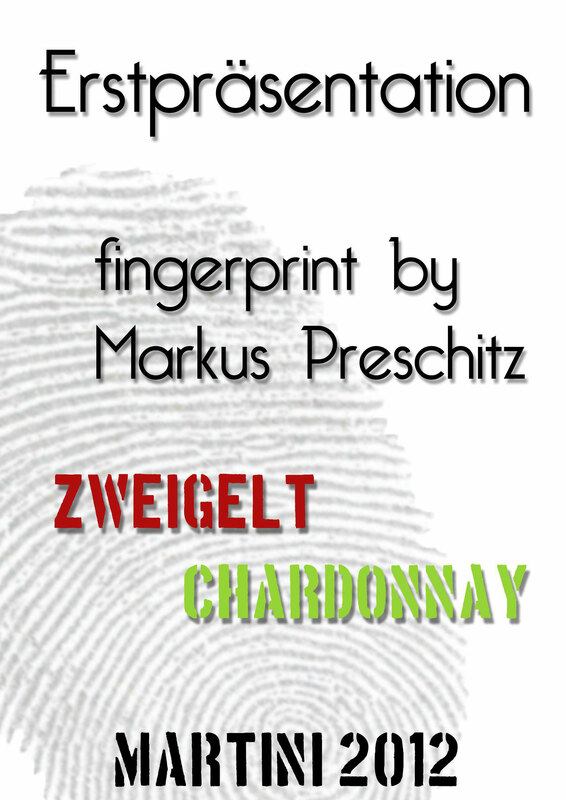 After last year our Zweigelt Rosenberg (fingerprint by Markus) has come into the finals at the "Austrian Wine Challenge", Markus was again able to achieve success this year! 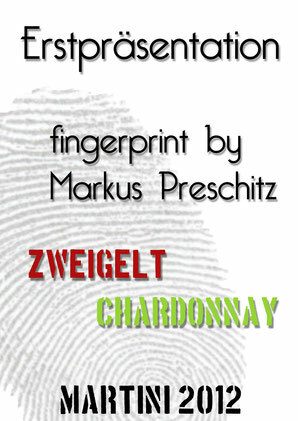 This time our Chardonnay Rosenberg (fingerprint) could convince and made it also with a top rating into the final! Cameo role in "Mein himmlisches Hotel" this week at VOX. 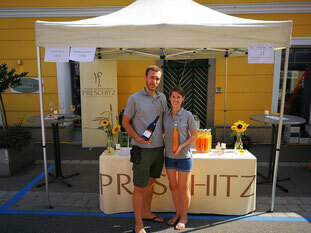 Thanks to our friends from the "Hotel zur Heimat" and congratulations to the win! 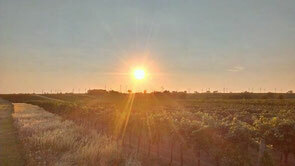 High Worth as we find! 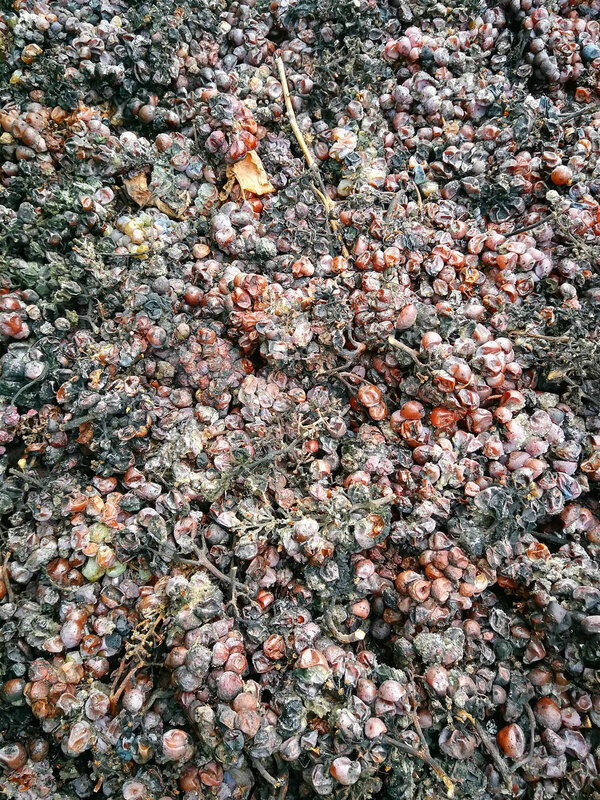 Start of the harvest 2015! 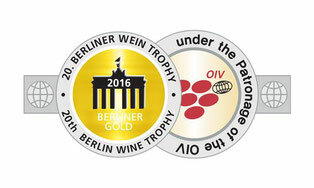 At the Berliner Wine Trophy we won two gold medals! Muskat Ottonel Klassic 2014 & Neusiedlersee DAC Klassic 2013 could convince. 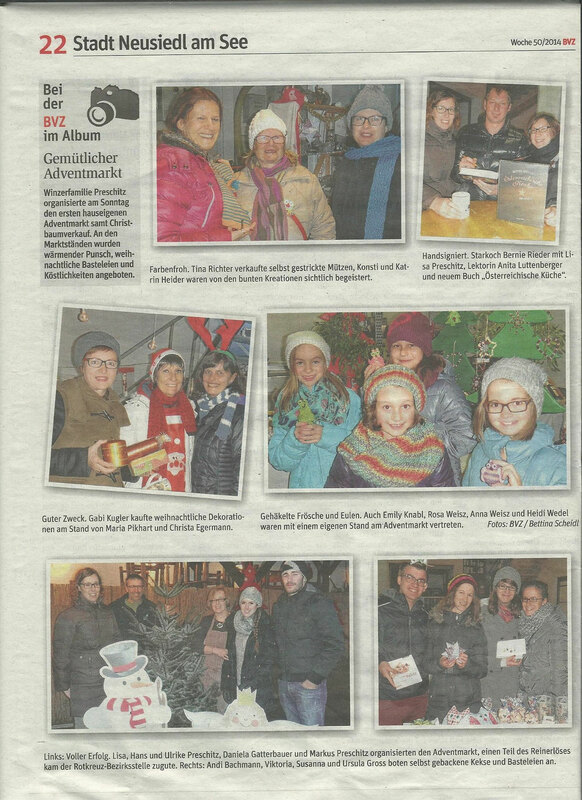 Article out of the "BVZ" about our first Christmas market with Christmas Tree sale. It was a very successful event. 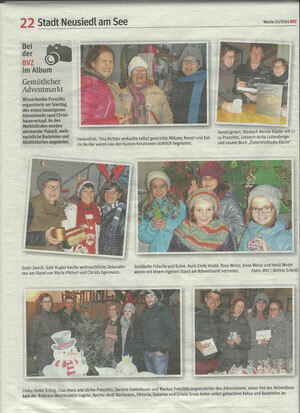 Overall, we were able to collect € 830,- for the district branch of the Red Cross. 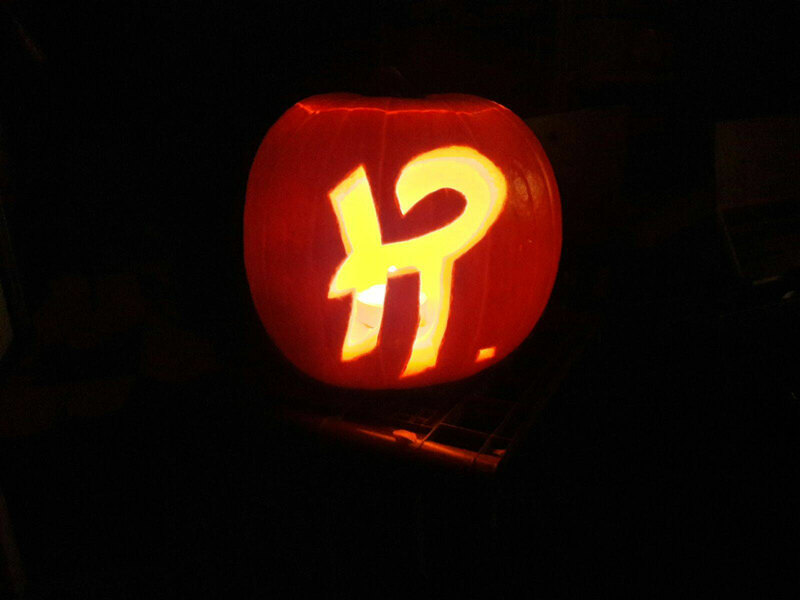 Thanks again to everyone involved and we look forward to next year! 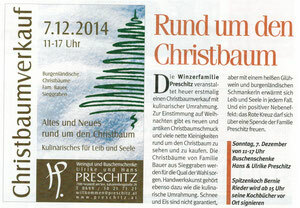 The Go for our first Christmas market with Christmas Tree sale at the winery Preschitz! Those who still do not have a Christmas Tree, or just looking for good food, mulled wine or children's punch are warmly invited tomorrow to come to our Christmas event. 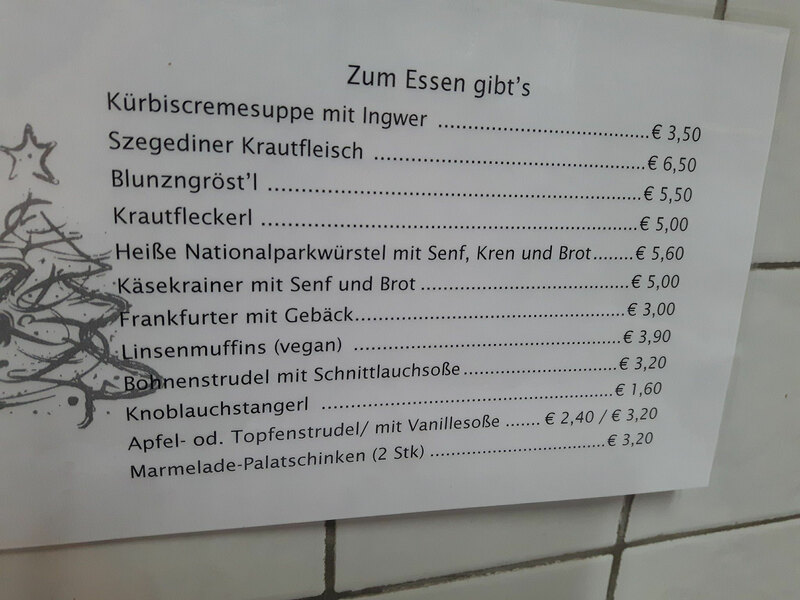 The menu offer pumpkin soup, "Szegediner Krautfleisch", "Blunzngröstl", baked "Martini" buns, pancakes as well as cream cheese and apple strudel with vanilla sauce. 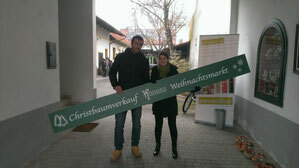 A part of the net profit and the sale of wine come to the Red Cross (district branch Neusiedl) to Good! 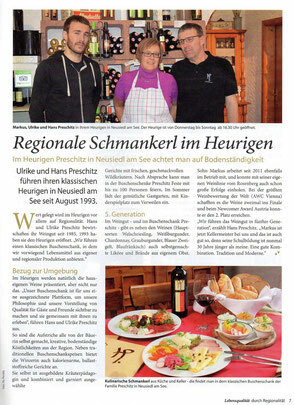 Article out of the TIPP-Magazine! 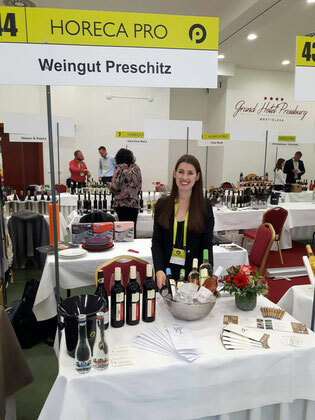 Our Zweigelt Rosenberg 2012 made it to the finals at the "Austrian Wine Challenge" and got the third best rating in the large Zweigelt category! 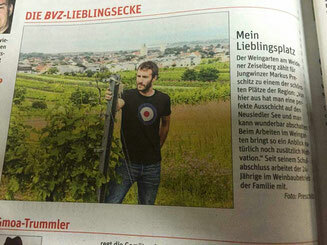 On Friday we finished this years harvest with our"Welschriesling". But besides a lot has happened lately. At the falstaff-Burgundertrophy we achieved a great result. 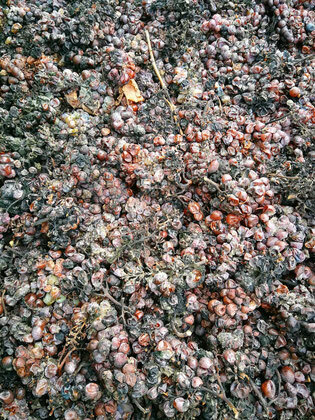 With perfect fall weather we offer "Sturm" for the last time this year. 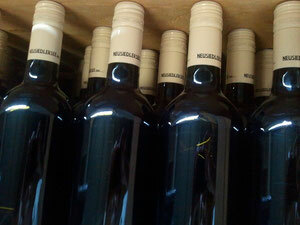 Unfortunately we did not win at the wine gala yesterday. 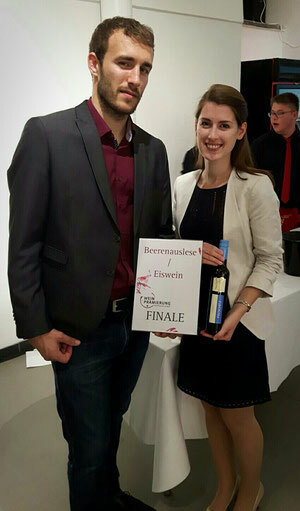 The joy to have been in the final and thus be among the five best Blaufränkisch "Klassik" of the country, still prevails! 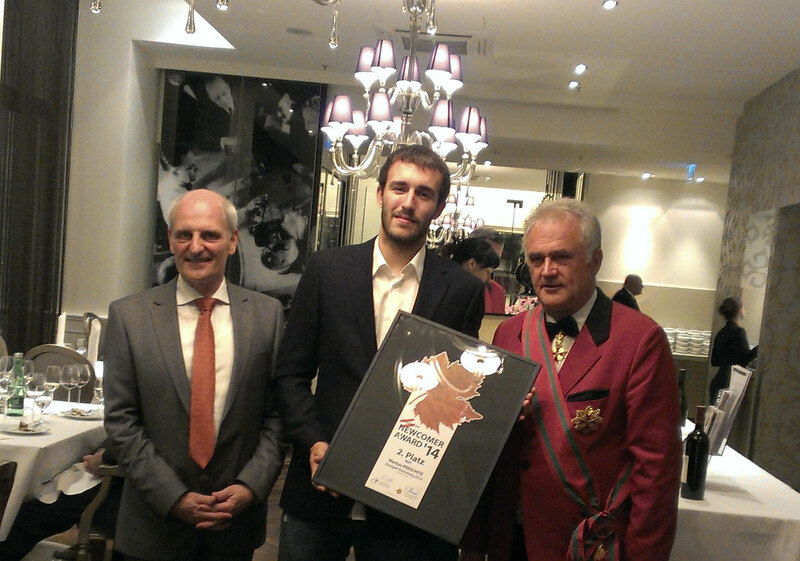 Markus reached with his Zweigelt Rosenberg the excellent 2nd place at the "Newcomer Award 2014"! Medals for our Wines at the "Austrian Wine Challenge"! One more reason to stop by at our winery to "Martiniloben"! 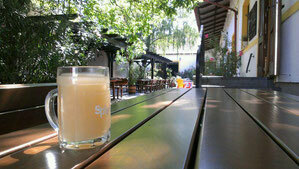 "Sturm" available starting today at our Buschenschank! 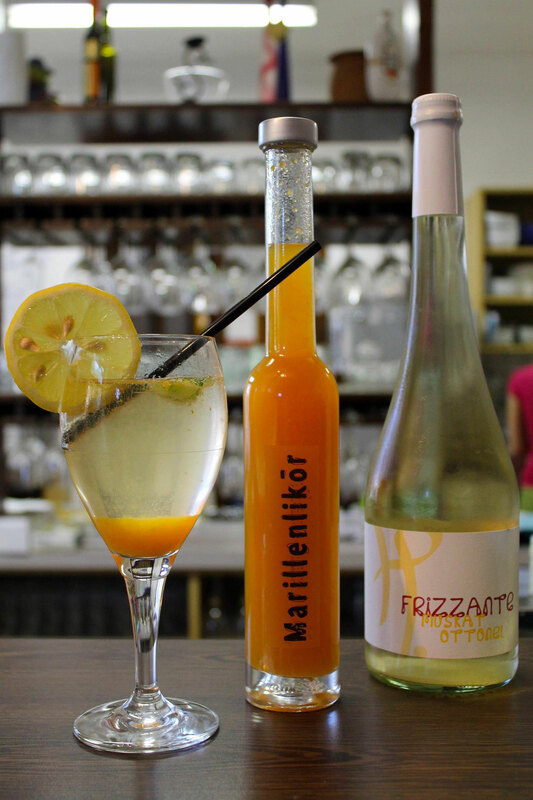 A refreshment for the summer heat! Our cocktail "MAX" new at the Buschenschank! BOTTLED! 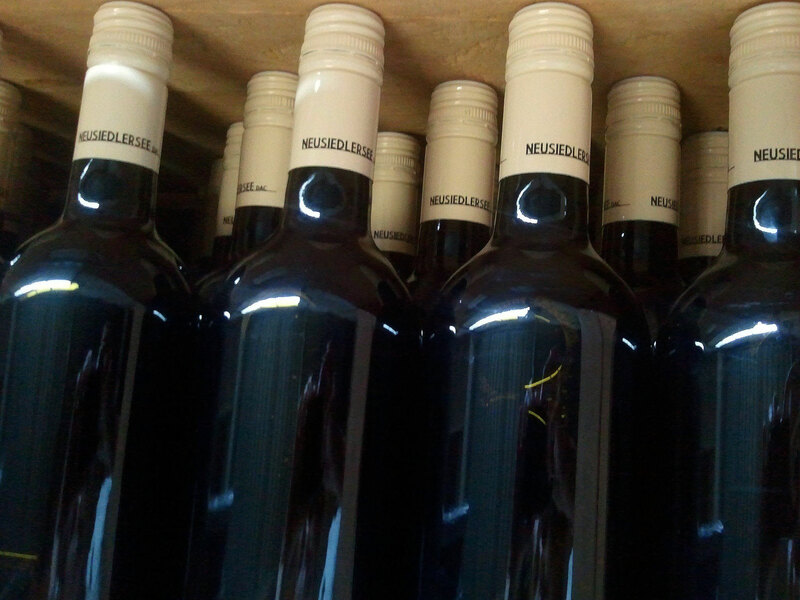 The first Neusiedlersee DAC is available in the bottle and soon in the sale and at the Buschenschank.